Our support programs (CAMI Maths and Readers are Leaders) for Afrikaans, English and Mathematics are included in the school fees. Our Aftercare is also included in school fees and gives learners, that can’t go home directly after school, a safe environment in which they can do homework. For the benefit of our learners, we have added a counsellor to our staff compliment and will be available to all learners at no additional cost. academic skills development we promote reading, comprehension, analytical thinking, communication skills and more. We help our learners build appreciation for and knowledge of music, culture and arts. All learners are included in and annual play / concert. In future we will develop music reading, playing musical instruments and voice development. Physical education at Impact is exactly that, being educated on how beneficial exercise is to your lifestyle and how it improves other facets of your life. The focus here is on participation and not extreme sport. The aim is to create a lifestyle change. By developing life skills used in the everyday workplace, learners are far better prepared. Skills that are focused on but not limited to are debating, public speaking, presentation & marketing skills and decision making & planning. Here we develop other skills that will simplify everyday life such as reading and comprehension, substantive numeracy & logic skills, analytical thinking ability, memory development and writing skills. 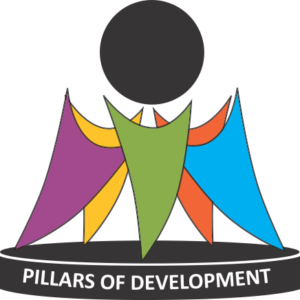 The Pillars programme is implemented by teachers and facilitated by the learners themselves (Pillars Care Groups). These groups are made up of learners Grade 8 – 12. Through this we develop leadership abilities across all grades.